Don’t place your subject smack in the center of the frame. 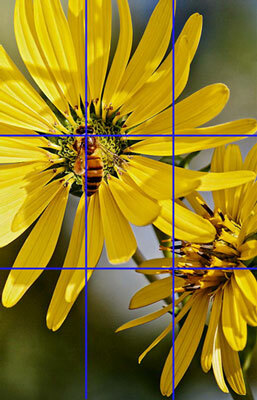 Instead, imagine dividing the frame into thirds and position the main subject at one of the spots where the dividing lines intersect, as illustrated in the bee-and-daisy image. 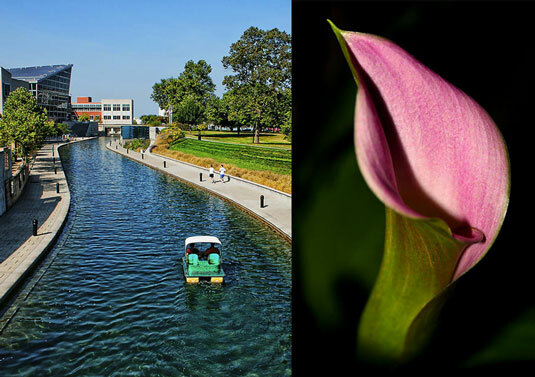 Use the rule of thirds for landscape images. 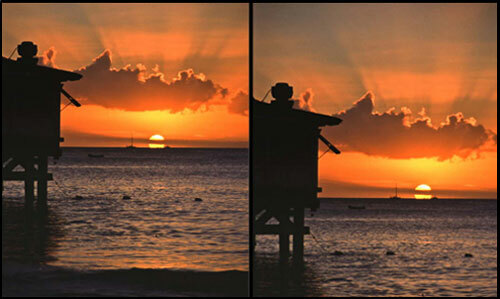 The rule of thirds is especially helpful for landscape shots, such as the sunset example: In the left image, putting the horizon line at dead center makes for a boring shot; reframing to shift the horizon line down to the bottom third of the frame creates the more dynamic composition shown on the right. Create movement through the frame. Compose the scene so that the viewer’s eye is naturally led from one edge of the frame to the other. For example, in the first landscape shot here, the winding canal takes the eye from the boat in the foreground all the way to the back of the frame, while in the floral image, the patterns of light and shadow create the movement. Spend some time studying your subject before you even pick up your camera. What’s the most interesting viewpoint to capture? 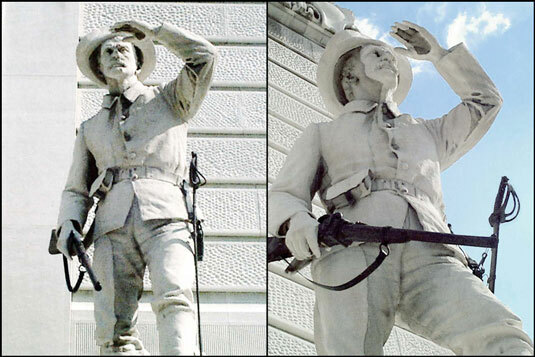 As an example, the first photograph shown here accurately represents the statue, but the picture is hardly as captivating as the second version, which shows the same subject from a more unusual angle. Give them room to move. For pictures that portray movement, don’t frame your images so tightly that your subject looks cramped. 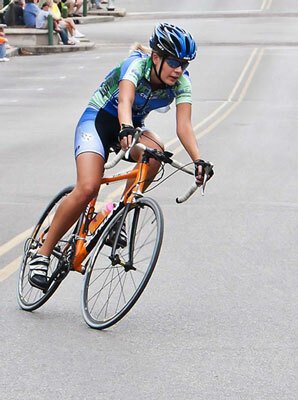 For example, this image has extra margin in the direction the biker is riding. Otherwise, it appears that there’s nowhere for the subject to go. Know that claustrophobic feeling you get when you walk in a store that is so jam-packed that you can’t even move through the aisles? That’s the same reaction most people have when looking at a photo like the first image shown here. There’s simply too much going on, so the eye doesn’t know where to look, except away. In the second example, reframing the shot to include just a portion of the ride creates a much better image. All the energy of the fair is captured in the whirling chairs, and the composition is such that the eye moves around the curve of the frame to take it all in.